Batiste, Antoine Édouard. Studied at the Paris Conservatory, 1830, gaining first prize for organ, 1839; pupil of François Benoist, Luigi Cherubini and Jacques Fromenthal d’Halévy. Organist of St. Nicholas-des-Champs’, Paris, 1842-54; St. Eustache’s, Paris, 1854-76. Professor at the Paris Conservatory, 1836. 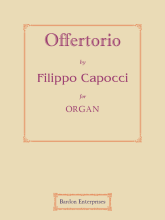 Composed organ music. Uncle of Léo Delibes. b. Paris, France, Mar. 28th, 1820; d. there, Nov. 9th, 1876. Clark, Rev Frederick Scotson. Mus.B. (Oxon, 1867.) 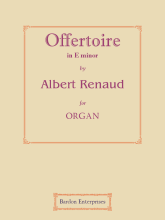 Studied at the Royal Academy of Music, London, under Bennett, Goss, Lucas, Engel, Pinsuti and Pettit; Exeter College, Oxford; in Paris with Eugène Sergent (piano and harmony) and Louis Lefébure-Wély (harmony); in Leipzig with Richter and Reinecke; in Stuttgart with Lebert, Pruckner and Krugen; pupil of Dr E. J. Hopkins (organ). 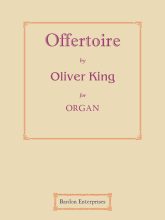 Organist of St. Helen’s, Bishopsgate, London; Exeter College, Oxford; the Regent Square Church, London, 1855; assistant organist of the English Church, Leipzig, Germany; organist of St. Clement-Danes’, London, England. Head master of St. Michael’s Grammar School, Brighton, 1867; founded the London Organ School, 1873; represented English organists at the Paris Exposition, 1878. 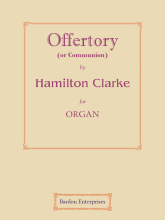 Composed organ and piano pieces, church music, songs, &c. b. London, England, Nov. 16th, 1840; d. Marylebone, London, July 5th, 1883. Clarke, James Hamilton Siree. Mus.B. (Oxon, 1867). Organist of St. Matthew’s, Duddeston, 1852; Parsonstown Parish Church, Ireland, 1862; the Sion Church, Rathgar, Dublin, 1863; the Carnmoney Church, Belfast, 1865; Llandaff Cathedral, Wales, 1865-66; Queens College, Oxford, England, 1866-71; St. Paul’s Parish Church, Camden Hill, South Kensington, London, 1871; St. Peter’s, South Kensington, London, 1872-. Conducted the Victoria National Orchestra, Australia, 1889-91; director of music at several London Theatres. Composed church music, cantatas, operettas, incidental music, symphonies, chamber music, organ and piano pieces, part-songs, songs, &c. b. Birmingham, England, Jan. 25th, 1840; d. Banstead, July 9th, 1912. Filby, William Charles. Studied in France. 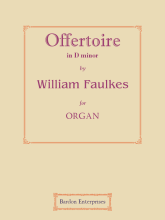 Organist of St. Peter’s, Hammersmith, London, 1849; Bromley Parish Church, 1853; St. Peter’s, Walworth, London; St. Matthew’s, Bayswater, London; St. Luke’s, Westbourne Park, London; Holy Trinity, Margate; Holy Trinity, Stepney, London; St. Paul’s, Greenwich, London, 1884-. 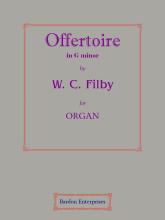 Composed piano and organ music, songs, &c. Brother of Stephen Filby. b. Hammersmith, London, England, 1833; d. Richmond, June 22nd, 1913. 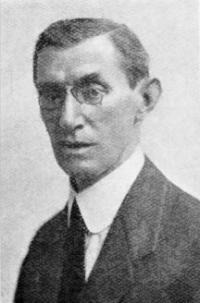 Fletcher, Percy Eastman. Musical director to the Savoy Theatre, London; Dury Lane Theatre, London. Composed cantatas, orchestral music, songs, &c. b. Derby, England, Dec. 12th, 1879; d. Virginia Water, Sep. 10th, 1932. Petrali, Vincenzo Antonio. 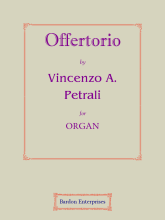 Organist of Crema Cathedral; assistant organist of St. Maria Maggiore’s, Bergamo, 1853-80. Taught in Bologna; at Liceo Rossini, Pesaro. b. Crema, near Cremona, Italy, Jan. 22nd, 1832; d. Bergamo, Nov. 24th, 1889. Rénaud, Albert. Pupil of Delibes and César Franck. 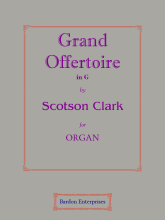 Organist of St. Francis-Xavier’s, Paris, 1879-91; St. Germain’s-en-Laye, Paris, 1891-. 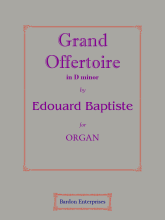 Composed operas, &c. b. Paris, France, 1855; d. 1924.